The first two installments of the BioShock video game series took place in the underwater city of Rapture, but the recently released Bioshock Infinite takes players to new heights as they assume the role of a former detective who travels to the sky city of Columbia to save an imprisoned teen. Set in 1912, the action unfolds in and around a highly stylized dystopian city that’s perhaps best described as a steampunk version of America at the turn of the last century. EW.com caught up with Irrational Games creative director Ken Levine to learn more about designing the look of Bioshock Infinite. Entertainment Weekly: What is the design process for video game like BioShock Infinite? Is it at all similar to designing sets for a movie or TV show? Ken Levine: [The process is] probably most similar to designing environments for a theme park, because you never know what your audience is going to do. What will they look at? What corners will they try to go around? With movies and TV sets, you only build out to where the camera is going to see. We can’t control that in video games. What new design features will gamers experience? The most important innovation is the creation of the character Elizabeth. She’s about the closest thing we have to a ‘virtual actress’ right now. Elizabeth is your constant companion throughout the game, and she behaves in primarily an unscripted manner. In order to get her [to seem] ‘natural,’ the team first spent a massive amount of time observing people and how they inhabit space, how they interact with each other, how their faces and body language reflect their internal emotional state. Uh. Oh. Elizabeth is worried. How did you come up with the concept of the floating city of Columbia? What inspired you and your team? We were inspired in part by the book The Devil in the White City, which is about the artificial idealized city built for the 1893 World’s Fair. 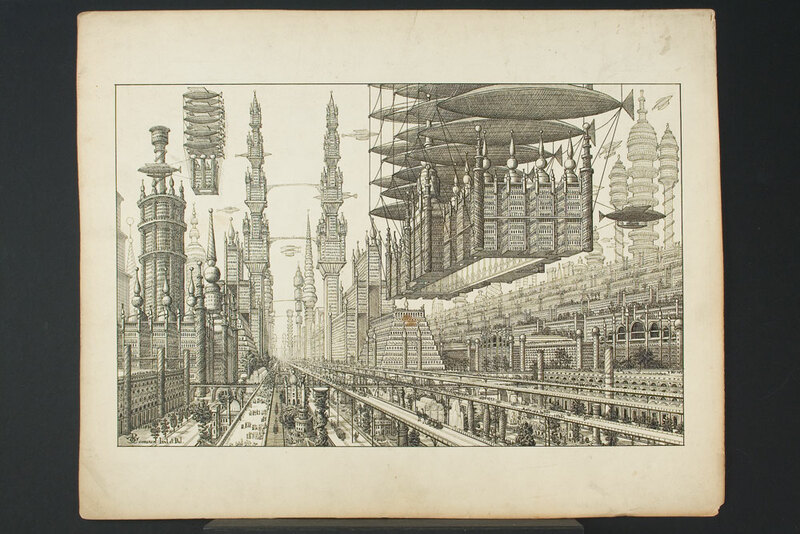 In addition, the floating city was a common fantasy around the turn of the century, for example [Peter Caledon Cameron’s Nodnol City]. What were the biggest challenges you faced while designing the game? The challenge was finding something that looked both fantastical yet believable. Although Columbia is in the air, the art team drew on a huge amount of research of the art, fashion, architecture and propaganda of the early 1900s. If our city doesn’t feel like a place people could actually inhabit, we haven’t done our job. Watch the BioShock Infinite trailer for a glimpse at the sky city created by Levine and his team.